2) Select custom network and click Add. 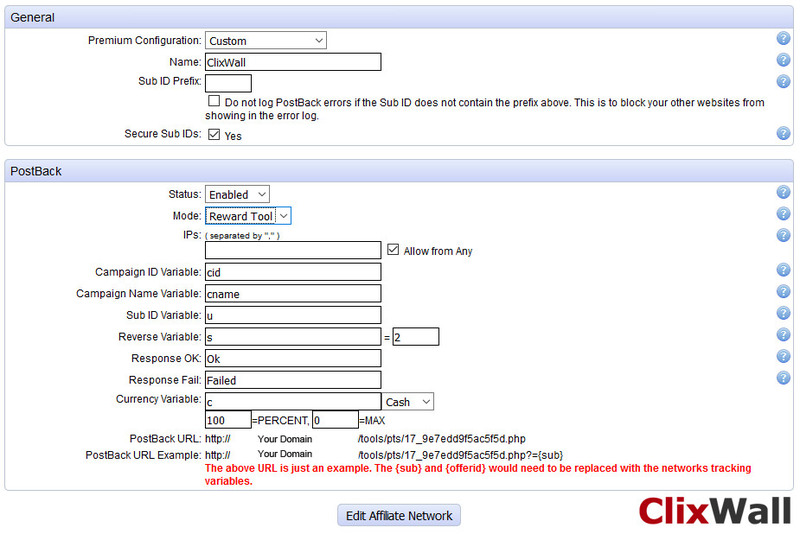 3) Enter ClixWall in name and Click Add Affiliate Network. 4) Go To Affiliate networks page and click edit on ClixWall. 5) Enter the settings as shown in image. 6) Come back to ClixCall and update postback URL.